Factory Yamaha rider Valentino Rossi says there’s plenty more still to come from him despite his impressive first outing of 2007 in Sepang. The seven-time world champion was fastest in the baking heat of Malaysia but admitted he is only at 80 per cent of peak fitness after relaxing during the seven-week winter break. Rossi, who turns 28 next month, said: “I started the training schedule the week before the Sepang test and maybe I’m 75 or 80 per cent. “Now I have to work on the arms and the shoulders for the braking. The 800 is very difficult on the brakes because you brake deeper and need more effort from the rider. “I also need to work on the back and I need more fuel for the lungs for breathing. Rossi, who said he trains in the gym and regularly runs, said the critical fitness aspect of MotoGP was getting tougher and tougher. “Now I am already 27 years old, I’m not 20, and four or five years ago I don’t have a problem. 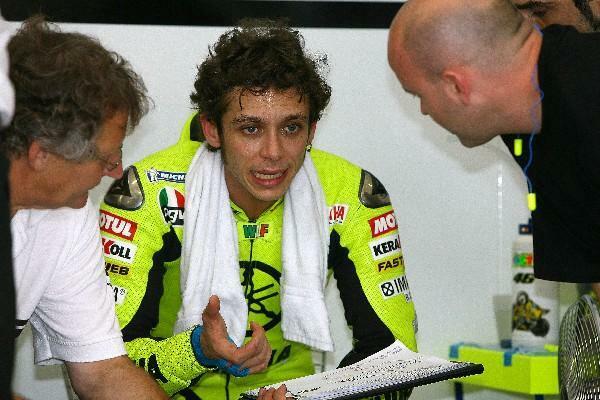 “But now I need more effort for my body,” said Rossi.